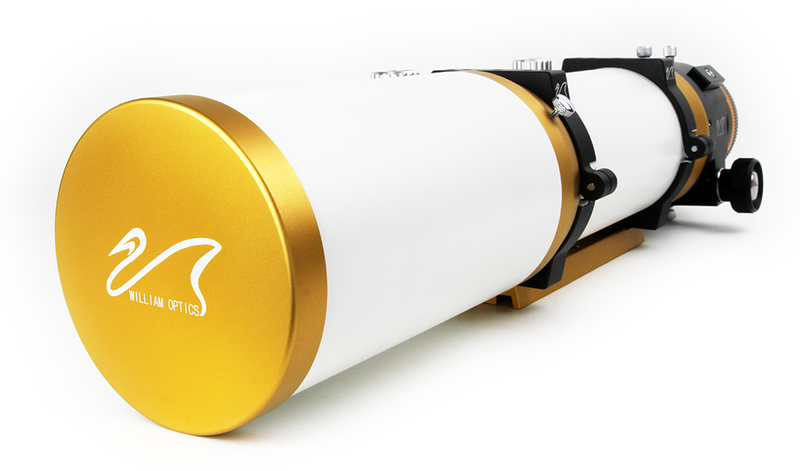 The William Optics GT 102 APO is a beautiful telescope, from the pristine white finish on the CNC to the elegant gold trim. Everyone knows, however, that outward beauty is fleeting, and so its a good thing the GT102 has way more going for it than good looks! The William Optics GT 102 has a focal ratio of f/6.9 and features a triplet air-spaced objective made from extra-low dispersion glass that is fully multi-coated with super high transmission coatings for beautifully sharp, high contrast, true color images. 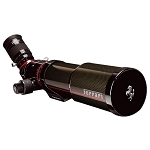 The optics sit in an adjustable high precision lens cell. 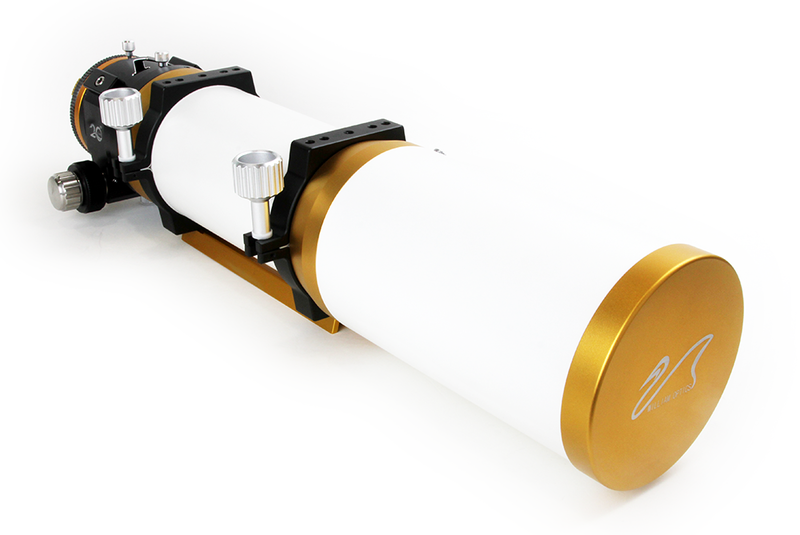 The aluminum optical tube is CNC machined and powder-coated white. The captured dew shield retracts fully when not in use, but does a great job of deflecting contrast-robbing light coming in from nearby porch lights, etc. You’ll enjoy the 2" rack & pinion focuser and its precise 10:1 dual focusing capabilities. The focuser can be rotated a full 360º so that you can position your camera in just the right location. An 1.25” adapter is included, allowing you to use both 2” and 1.25” eyepieces for visual work. A pair of mounting rings, a Vixen-style dovetail, and a soft carry case are also included in this package, not to mention the William Optics FLAT6A field flattener and reducer, which works wonderfully well with APS-sized sensors. You can read more about the Flattener below the specs for the GT 102. Designed with APS chip-size DSLR cameras in mind. The WO GT102 Flattener has a FMC doublet design. William Optics polished anodized finish. Rotating T-ring thread for any 35mm camera. Canon EOS T-ring is included.